I had a blast last weekend at the SF Etsy 2014 Indie Holiday Emporium at Pier 35 on the Embarcadero in the former SF Cruise Terminal. Despite the rain, there was a great turnout and it was fun to see some many local makers in one place. I was excited to show off my new table display featuring natural wood and an video by the talented Ben Jungjareon of me enameling in my studio to connect shoppers with my artistic process, which was a big hit. If you missed me last weekend, I’ll be at San Francisco Bazaar December 13th & 14th at Fort Mason. Or you can check out my etsy shop which I just updated with tons of new designs, just in time for the holidays! I recently joined the SF Etsy Team and today there’re featuring an interview with me on their blog. 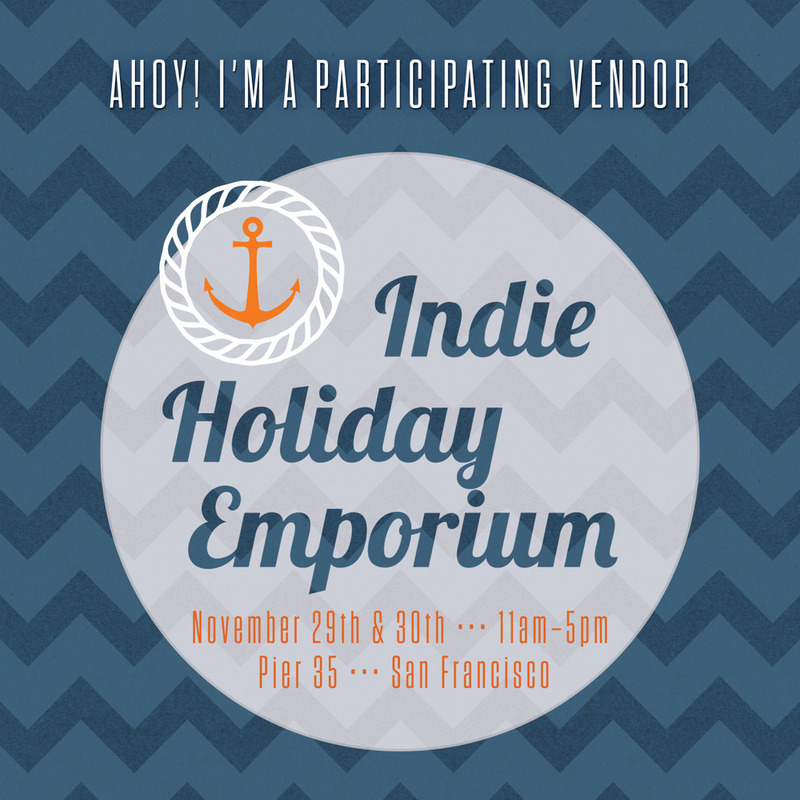 I just joined the SF Etsy Team, a group of local Bay Area etsy sellers and am excited to participate in their annual holiday craft show, the Indie Holiday Emporium. The show is Thanksgiving weekend - just in time to start your holiday shopping by buying unique presents from local artists and makers. I’ll have a big selection of my enamel earrings and necklaces for sale along with some new designs. If you’re staying in San Francisco for the holiday, be sure to stop by and say hi. It’s free and open to all ages.